Faith, Fashion, and a Few of My Favorite Things! Flexi of the Month Sale! 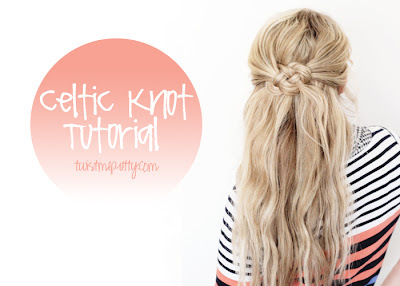 For those of you who like to change up your hairstyle, I thought you might enjoy this tutorial. I always find this video amusing and it makes me realize how much I speak without really thinking about what exactly it is I'm saying. Light of Eternity will open your eyes to the realities of heaven. Far from boring, heaven promises to be an exhilarating adventure in which every chapter is better than the one before. I really appreciated the author’s attempts to help us start to grasp the wonders and beauty of heaven. So often heaven is not given the thought and attention it deserves. We are told heaven is where Christians go when they die, streets are paved in gold, and God will judge us when we get there. For many, this does nothing to make them want heaven over what they now have on earth. This is a shame. Heaven is wonderful beyond anything we can think or imagine. The author does a wonderful job of getting us to start grasping heaven’s joy and beauty. While I didn’t agree with all of his scriptural interpretations, overall I think his discussion on the joys of heaven were wonderful and much needed. His [the evil one’s] basic strategy, exactly the one he employed with Adam and Eve, is to make us think wrongly about God and believe sin will bring us fulfillment. But sin is not what brings us fulfillment—it’s what robs us of fulfillment. Sin isn’t what makes life interesting; it’s what makes life empty. Heaven: where “right choices are forever celebrated.” Hell: where wrong choices are endlessly reviewed and regretted—especially the choice to refuse the greatest gift ever offered. In the absence of a strong theology of heaven and eternal rewards, the western church has been permeated by “prosperity theology” the gospel of health and wealth. We’ve been seduced to look only to short-term rewards of material gain, physical health and safety, and human approval. I liked this outfit because it's nicely put together and doesn't demand attention. The outfit looks great, is practical and yet still stylish. Those kind of outfits are the best! This outfit looks so warm and cozy! If you are looking for a book to challenge you in the New Year I highly recommend Radical. This was a much needed book for me! 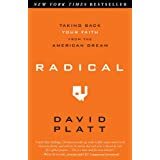 In Radical, David Platt challenges you to consider how we have manipulated the gospel to fit our cultural preferences. The author encourages us instead to let go of the American Dream and embrace Christ. 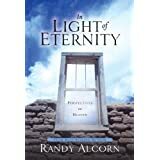 This book challenges the mindset that God is about blessing us so that we can live the American Dream. (Look at Luke 9. Jesus basically tells him that he could expect homelessness. Followers of Christ are not guaranteed that even their basic need of shelter will be met) He told them to take up their cross and follow him. (i.e. It’s a device of torture! How about take up your electric chair and follow me. Any takers?) I’ve realized how the American Dream had become my idol and what I was living for. This book challenged me to let that go and instead whole heartedly follow Christ. God centers on himself, even in our salvation. Remember his words in Ezekiel (36): he saves us, not for our sake, but for the sake of his holy name. We have received salvation so that his name will be proclaimed in all nations. God loves us for his sake in the world. This may come as a shock to us. You mean that God has an ulterior motive in blessing us? We are not the end of his grace? 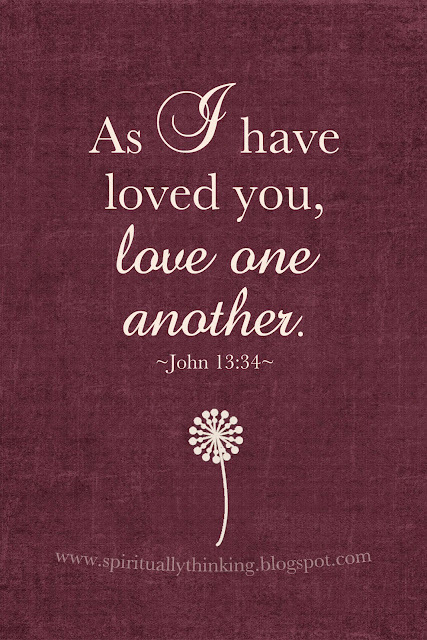 And the answer Scripture gives is clear. Indeed, we are not at the center of his universe. God is at the center of his universe, and everything he does ultimately revolves around him. If this is true, we may wonder, then does this make God selfish? How can God’s purpose be to exalt himself? This is a good question, and it causes us to pause until we ask the follow-up question: Whom else would we have him exalt? At the very moment God exalted someone or something else, he would no longer the great God worthy of all glory in all the universe, which he is. We must guard against misunderstanding here. The Bible is not saying that God does not love us deeply. On the contrary, we have seen in Scripture a God of unusual, surprising, intimate passion for his people. But that passion does not ultimately center on his people. It centers on his greatness, his goodness, and his glory being made known globally among all peoples. And to disconnect God’s blessing from God’s global purpose is to spiral downward into an unbiblical, self-saturated Christianity that misses the point of God’s grace. Your life is free to be radical what you see death as reward…The key is realizing-and believing-that this world is not your home. If you and I ever hope to free our lives from worldly desires, worldly thinking, worldly pleasures, worldly dreams, worldly ideals, worldly values, worldly ambitions, and worldly acclaim, then we must focus our lives on another word. Though you and I live in the United States of America now, we must fix our attention on “a better country—a heavenly one” Though you and I find ourselves surrounded by the lure of temporary pleasure, we must fasten our affections on the one who promises eternal treasure that will never spoil or fade. If your life or my life is going to count on earth, we must start by concentrating on heaven. For then, and only then, will you and I be free to take radical risk, knowing that what awaits us is radical reward. This, we remember, is the great reward of the gospel: God himself. When we risk our lives to run after Christ, we discover the safety that is found only in his sovereignty, the security that is found only in his love, and the satisfaction that is found only in his presence. This is the eternally great reward, and we would be foolish to settle for anything less…Radical obedience to Christ is not easy; it is dangerous. It is not smooth sailing aboard a luxury liner; it is sacrificial duty aboard a troop carrier. It’s not comfort, not health, not wealth, and not prosperity in this world. Radical obedience to Christ risks losing all these things. But in the end, such risk finds its reward in Christ. And he is more than enough for us. 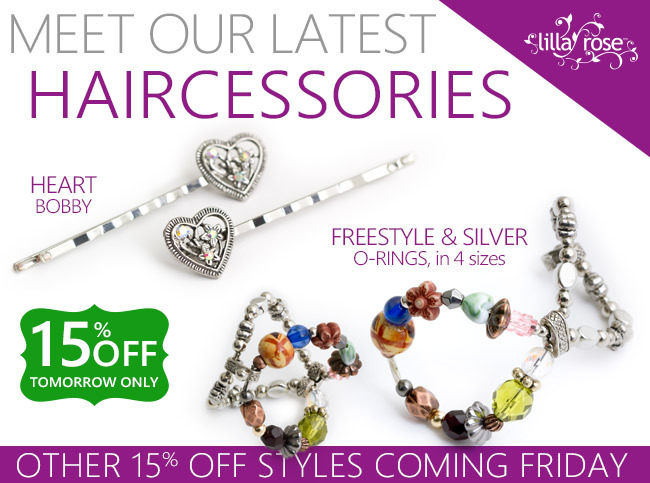 January 18th Lilla Rose is having quite a few hair accessories on sale! One day only! Sale for styles Rich Multi Cluster Copper, Music Lover, Fleur-de-lis, Who's Hoo, Majestic Cross, and Dreamcatcher in all their sizes and in all carts is 15% off, all day January 18th 2012 Pacific Time. Note: If you wanted to purchase through me please make sure on the home page you see my name and picture. If you have any trouble getting to my site please let me know and I will gladly help you. 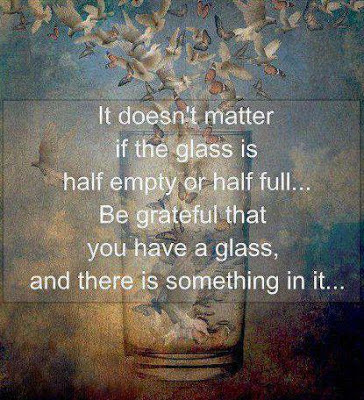 It Doesn't Matter....Just Be Grateful. I am delighted that you stopped by! Please join me as I blog about faith, fashion, and a few of my favorite things! Lilla Rose March Hair Clip! Click on the picture below to see my Lilla Rose Facebook page! Bella Maiden is not responsible for content of external links listed on this site. Bella Maiden provides links thought to be of interest to readers but since Bella Maiden doesn't edit these websites and has no control over their content, please use discretion when clicking on external links. Thank you.